FFCCU is pleased to announce that we are one of the first financial institutions in northeast Ohio to offer EMV chip protection to its members. 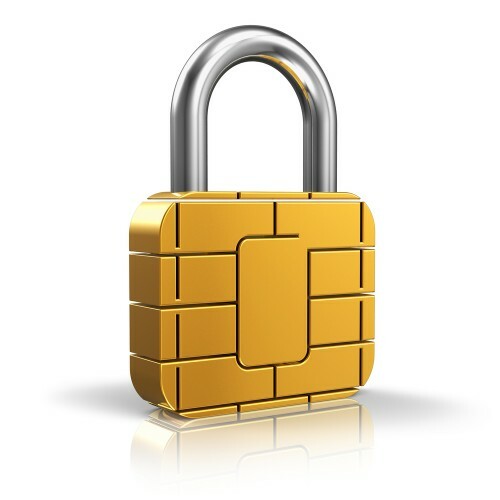 EMV technology uses a microchip on your credit card to encrypt your financial information. It’s more secure than just the magnetic strip that’s on the back of your credit card now. It’s verified at a point-of-sale terminal, just like a normal credit card. This advanced technology makes it possible to have a much stronger form of encryption, which makes your data more secure. For quite a while, we’ve been protecting your online transactions by using secure technology called Verified by Visa. Operating in the background, this technology confirms your identity as an authorized user during online purchasing. As a result, you may have been asked from time to time to provide more information to confirm your purchase. This method of authentication may require you to register, or enter a password in order to complete the transaction. Though effective for fighting fraud, this process can be bothersome, especially if you’ve forgotten a password. We’re excited to announce we’ve upgraded the security technology to better protect your online transactions and give you a more seamless online shopping experience when using your FFCCU Great Rate or Most Rewards Visa. The new technology is better at spotting illegitimate transactions which lets the vast majority of legitimate cardholders conduct business without interruption. However, when we do suspect fraud, we will stop the checkout process until you have confirmed, via your phone call to the phone number on the back of your card, that the transaction is being made by the rightful account owner. There will be no more remembering passwords or registering at checkout; just better security and a smoother online shopping experience! Your card contains an embedded EMV microchip. This chip holds information that is encrypted, making it extremely difficult for the card to be copied or counterfeited. Rather than swiping your card, you will insert your chip card into an EMV-compatible terminal and type in a pin code to complete a transaction. In addition to the embedded microchip, your card still has a magnetic stripe on the back. This ensures you will still be able to make purchases by swiping your card at merchants who have not yet switched to chip-enabled terminals. Once you have activated your card, please destroy your existing card. If you need additional assistance, please contact us at 216.621.4644.